Most investors are familiar with Warren Buffet, who is the man in command at Berkshire Hathaway (BRK.B). Buffett is one of the most successful investors of all time, with a net worth placing him somewhere in the top three richest people in the world. His partner in crime was Charlie Munger, who has worked with him for the past 50 years. While most investors are familiar with the story of Berkshire Hathaway, few seem to know how exactly Buffett made his first millions, that catapulted him to Berkshire Hathaway and the companies and stocks he owns through it. Buffett started several investment partnerships in 1956 with approximately $105,000 in investor money, after his former employer Graham-Newmann investment partnership was liquidated. Buffett had put an initial $700 of his own money, which ballooned to a stake worth $20 million by the time he liquidated his investment partnership in 1969. The assets under managed had grown to $100 million by that time. The Berkshire Hathaway (BRK.A) annual letters to investors have been inspired by Buffett’s annual and semi-annual letters to his limited partners. Per the Buffett Partners agreement, Buffett as the General Partner received a cut of the profits. 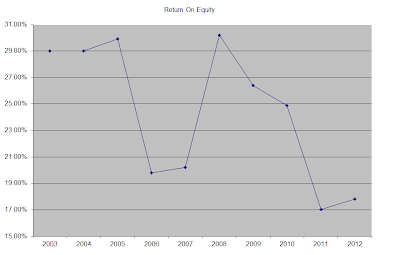 For every percentage point gain above 6% in a given year, Buffett collected 25% of the gains. The Buffett Partnership Limited (BPL) was essentially a hedge fund, which pooled investor’s money and invested them at the discretion of the fund manager. Buffett never had a losing year during the thirteen years he ran the partnership, and he also managed to add new investors along the way. In addition, he reinvested any gains he made as a general partner back into the partnership. Buffett invested in the following types of companies at the partnership: generally undervalued securities, work-outs and control situations. Work-outs included stocks whose financial results depend on corporate actions rather than supply and demand factors created by buyers and sellers. Control situations include occasions where BPL either controlled the company or took a sufficiently large position that allowed it to influence policies of the company. After the BPL was liquidated, Buffett received shares in Berkshire Hathaway, as well as shares in companies which ultimately merged in Berkshire. And the rest is history. The lesson to be learned from this exercise is that in order to become rich, Warren Buffett had a scalable business model, with a substantial amount of leverage. Unfortunately, BPL was mostly a one-man operation, although the turnaround expert he employed with Dempster Mill Manufacturing company is a rare situation where he employed others. He did exchange ideas with several of his value investing friends however. Buffett’s investment model worked well when he had $100,000 in the partnership, as well as during the time that he had $100 million. The overvalued market in the late 1960’s however presented a change to his investment strategy. Buffett had leverage to make a lot of money, simply by being the general partner and earning a good cut on any earnings that the partnership generated, without much downside for himself. On the other hand, Charlie Munger made his initial million by using debt leverage to invest and build real estate. The true genius of Buffett is his complete transformation in the 1970’s, when he started purchasing stock in companies with strong competitive advantages. He essentially held those stocks as long-term investments, and in the event where Berkshire acquired entire businesses, he delegated the whole oversight of day to day operations to skilled management. The companies he invested in the 1950’s and 1960’s represented mostly investments that were one-time producers of substantial gains for BPL. It took Buffett a lot of time to uncover those opportunities, but once they reached full valuation and he sold them, they were no longer producing any benefit for his partnership. He then had to spend more time to find more investments to allocate the now higher cash hoard. However, the companies and securities that Buffett purchased since the 1970’s for Berkshire Hathaway generate recurring cash flow streams to the company. As a result, the effort required to uncover these hidden gems resulted in cash distributions paid to the main holding company for decades. He then used these cash streams to purchase even more cash flow generating assets, which is why I believe that he is a closet dividend investor. Buffett's operations at Berkshire were further aided by almost cost-free float from insurance operations, which further magnified his investment returns. The float refers to the time period between when premiums are collected and claims paid out. During this time, insurers invest the premiums and generate returns. Buffett only does insurance deals when the pricing is right, and can guarantee that it doesn't result in losses The float further magnified investment returns, therefore leveraging Buffett's investment genius to produce gains for shareholders. For example, if you purchased Coca-Cola at $20 and it doubled in price, you can earn 100% return on your investment. If you put $20 of your money in the stock and invested $20 of cost free float, you would have earned a 200% return on that investment. The genius of Buffett is that he has been able to uncover undervalued assets, over many different asset classes. Examples include his purchase of silver (SLV) in 1998, real estate investment trusts in 1999, foreign currencies such as the Euro in the early 2000's as well as selling long-dated puts on major market indices. While he has a strategy of always looking for undervalued assets, he has been able to make a fortune for Berkshire by being flexible, and avoiding following a "rigid" strategy. By training himself to spot opportunities when they arose, he has been able to constantly reinvent himself and make money in different environments. In my dividend investing I focus a lot on diversification. Proper diversification means that an investor owns at least 30 individual stocks, representative of as many of the ten Standard and Poors sectors as possible. Proper diversification also means that investors do not simply purchase stocks in order to diversify their risk however. It means to invest in a diverse number of businesses with favorable economics, which are attractively priced and which also have bright long term prospects. Proper diversification will add an extra layer of protection for an investor’s portfolio when unforeseen events such as financial crises, oil spills and lawsuits affect otherwise stable and profitable dividend paying stocks. In the world of dividend investing, many claim to be excellent stock pickers, trying to maximize returns by betting on a concentrated portfolio of 10 – 15 stocks. 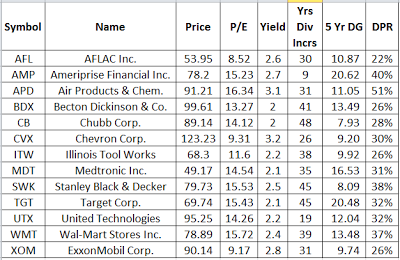 After all, it is easier to find 10 great dividend stocks, than finding 30 or more of them. This sounds like a decent plan if you are already collecting a generous pension and have a decent amount of social security kicking in. Such investors could likely afford to build a concentrated dividend portfolio, and take huge risks in the process. Even if you do a fantastic research, and know the company and industry inside out, you can still lose money on a stock. In general, all the information you have about a stock is based on past data and assumptions based on it. While companies like Coca-Cola (KO) and McDonald’s (MCD) look like long-term winners for the next 30 years, I could see several scenarios where they could go to zero in the process. That being said, this does not mean that they will go to zero, but just that investors might have to regularly monitor the positions in their portfolios. I also believe that investors should not only focus on quality regardless at price. Instead, investors should focus on finding quality stocks at a reasonable price. 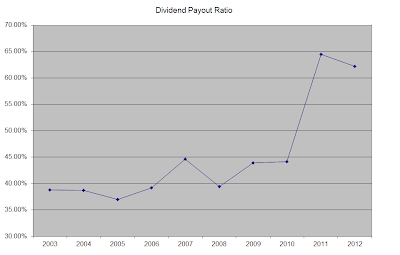 Air Products & Chemicals (APD) is a stock in the materials sector, which has boosted dividends for 31 years in a row. This dividend champion company trades at 16.80 times earnings, and yields 3%. Check my analysis of Air Products & Chemicals. 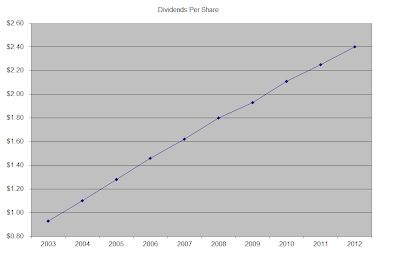 Chevron (CVX) is a stock in the energy sector, which has boosted dividends for 26 years in a row. This dividend champion trades at 9.50 times earnings, and yields 3.20%. Check my analysis of Chevron. United Technologies (UTX) is a stock in the industrials sector, which has boosted dividends for 19 years in a row. 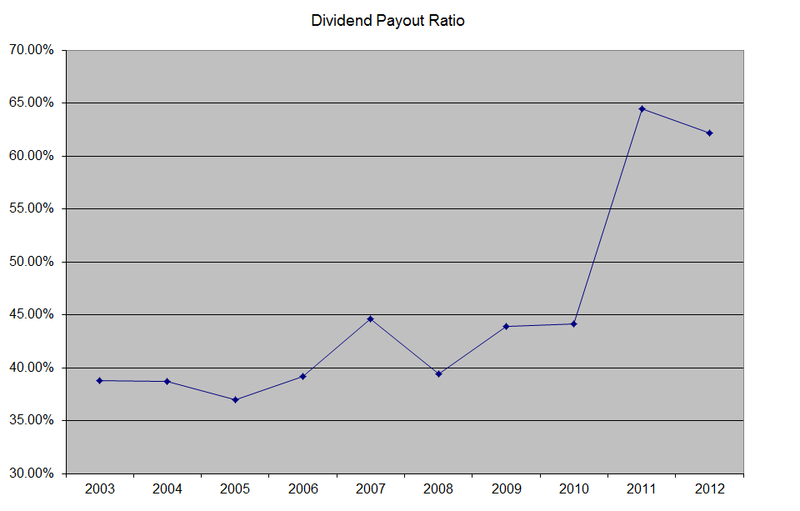 This dividend achiever company trades at 14.20 times earnings, and yields 2.20%. Check my analysis of United Technologies. Aflac (AFL) is a stock in the financial sector, which has boosted dividends for 30 years in a row. This dividend champion trades at 8.70 times earnings, and yields 2.50%. 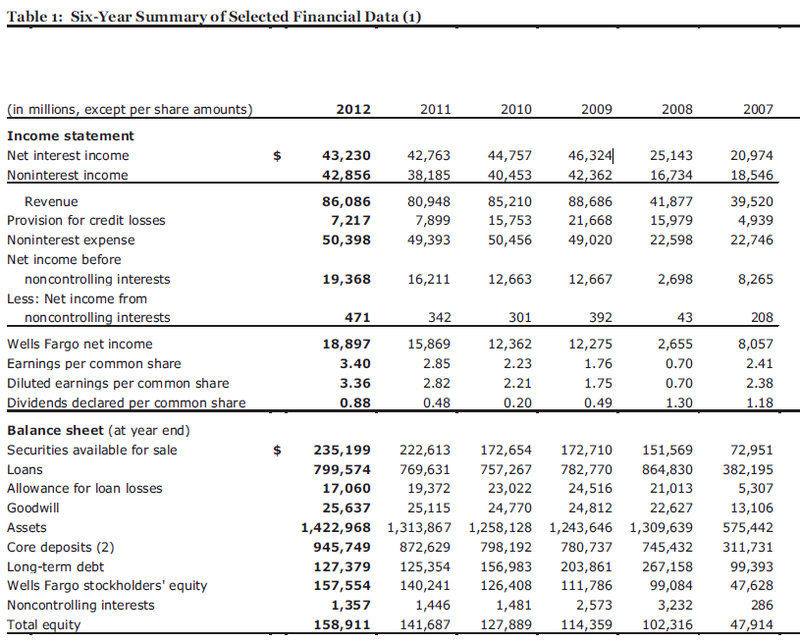 Check my analysis of Aflac. One of my favorite reasons and examples on why dividend investors should hold a diversified portfolio is the Financial Crisis of 2007 – 2009. For several decades before that, investors in stable companies such as Bank of America (BAC) collected higher dividends, while also enjoying above average dividend yields. The current rage is all about consumer staples. While I enjoy the stable nature of many consumer staples companies such as Procter & Gamble (PG) and Coca-Cola (KO), I do not want to place all of my bets on a single sector. It is true that consumers tend to purchase Gillette razors, shaving cream, Coca-Cola drinks repeatedly and they also tend to stick to the products they use for years. However, if companies make a few wrong moves such as making the wrong acquisition and taking on too much debt, not investing enough in the business or simply if company’s products are deemed to be unhealthy for the population, they could lose money and cut the dividends. When analyzing my portfolio, I noted that Consumer Staples accounted for 36% of it, while Energy, Financials and Healthcare accounted for 22%, 12% and 11% respectively. After that I have exposure to five sectors, which accounts for a whopping 19% of my portfolio. These sectors include Industrials, Consumer Discretionary, Information Technology, Materials and Utilities. 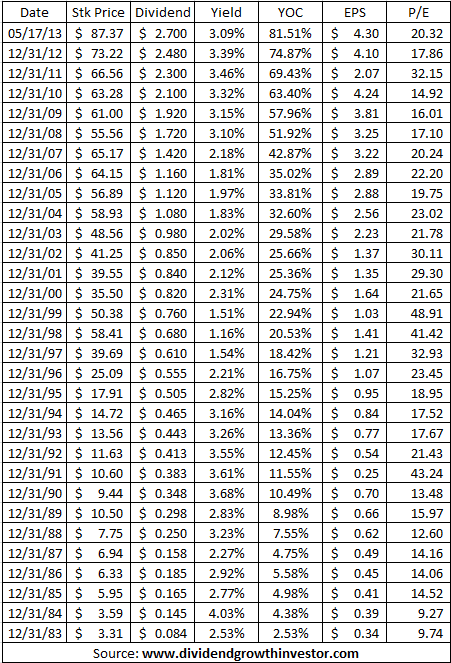 Unlike most other dividend investors, I do not have much exposure to US telecom stocks, since I find their dividend payouts to be too high in general, and thus I do not trust the dividend yields. In addition, I doubt that long-term dividend growth will be more than 3%/year for the largest players such as Verizon (VZ) and AT&T (T). I do have exposure to Vodafone (VOD) however, which accounts for less than 0.60% of my portfolios. Just because I am underweight Utilities does not mean that I will load up so that I increase my exposure. The stocks in my portfolio are geared towards paying a decent dividend today, with the potential for growing it over time, while potentially delivering strong total returns in the process. Most utilities pay high current yields, but have limited prospects for increasing earnings and dividends over time. In fact, many utilities are actually prone to cutting distributions to income investors. - Six things I learned from the financial crisis? In a previous article I wrote on when to sell dividend stocks, many investors were absolutely furious that I would not even think about selling after a stock I own goes up 1000% in value. The reality is that this would depend on the circumstances, but since I am a long-term investor, I expect that at least some of the stocks I purchase today would become tenbaggers over the next 30 years or so. In order to add shares in companies to my portfolio, I go through a quantitative screening process, followed by a qualitative review of the business. The qualitative portion is the most subjective one, and is based on my experiences consulting companies, using products or discussing products with company’s clients etc. As a result, I try to enter companies which I believe would be there for at least 20 – 30 years, when their shares trade at fair prices. If they are undervalued, that makes investing in them much easier. For example, based on my prior experience I would much rather purchase an oil company like Chevron (CVX) or ConocoPhillips (COP), than an individual US oil and gas trust that will be worth zero in a few decades. I could probably write an article about that. Dividend growth stocks follow a natural progression of slowly increasing earnings and dividends over time. They almost always look fairly valued, which is why the biggest benefit is earned by long-term holders. If I purchase a stock like Chevron today while the annual dividend is $4/share, the current yield is at 3.30%. Chances are that one decade from now, the yield would be close to 3% again. However, the dividend and the share price would have probably doubled along the way. I say probably in regards to the dividend growth, because things never progress in a linear fashion of course. 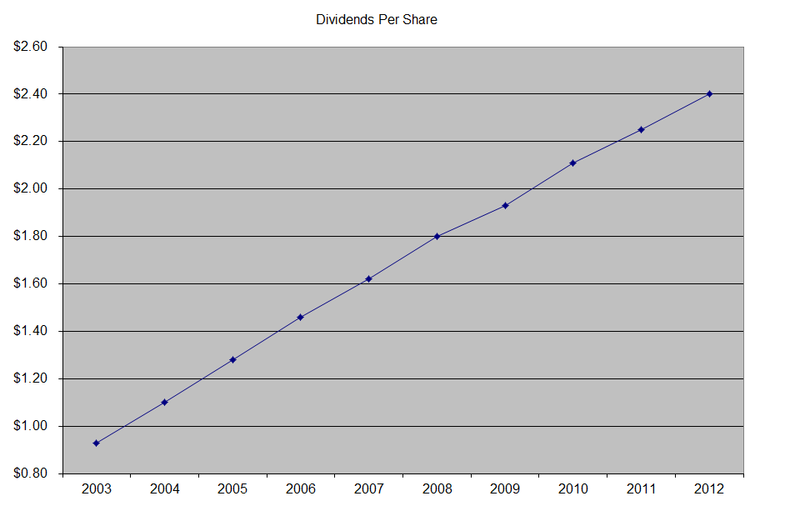 Using the inputs above however of dividends doubling every decade, and stock prices yielding somewhere close to 3%, it would not be unheard of if an investor in Chevron sits on an 800% – 1000% gain in 30 years. If there isn’t a tectonic shift that would take the world off of oil and gas, chances are that this growth is a very likely scenario that would continue for several more decades. As a result of focusing on quality companies, there are few things that can make me sell. I view myself as a part owner of a business, and as a result the business fundamentals such as returns on equity, earnings per share and dividends per share are more important than share price fluctuations. One of the things that would make me sell is a dividend cut. My expectation is that a company would generate higher dividends over time, and thus the inability to do so is usually the last signal of deteriorating financials I am willing to take that shows trouble. I do expect to get a high yield on cost over time, although this indicator is not something i use when evaluating buy or sell decisions. If everything goes well for my investment, I would expect it to generate more dividends over time, which would increase yield on cost, which is an indicator of an increase in dividend income. This indicator always seems to confuse and anger investors for whatever reason. I would not sell a stock simply because it becomes overvalued. For a typical dividend growth stock, if it traded up to 30 times earnings it would be more of a temporary noise, especially if this is backed by serious growth. Dividend investing is not a black and white strategy however, and as such, a P/E of 30 might cause me to sell some stocks but might lead me to hold on to other stocks. The nuances of holding on to overvalued companies that keep performing will vary for each individual situation. Even if I were to sell a stock with a P/E of 30, then I would have to pay a capital gain tax that would eat into my capital and find a security that is attractively valued. If we happen to have the stock market trading at all-time-highs, and all other quality companies are overvalued, I would have essentially shot myself in the foot. As an individual dividend investor, I have a limited amount of time that would allow me to identify and invest in approximately 50 – 80 great stocks during my lifetime. Of those, probably 15 – 18 would perform to be once in a lifetime investments. The rest would get acquired, lose focus or outright fail. As a result, my goal is to run with the winners for as long as possible and get rid of the losers as soon as possible. The number one reason why individual investors fail is because they tend to book small profits. At the same time they keep their losers hoping for a turnaround. Instead, they should focus on identifying quality companies, and then let fundamentals improve and simply hold on to these great ideas. It is difficult to be a long term investor when you are bombarded with stock market information everywhere you go. However if you do not embrace a long-term approach to investing, and do not see shares as ownership in real businesses, chances are dividend growth investing is not for you. There is a lot of work involved in timing the movements of stocks, and selling a company that might be overvalued today to purchase another company. I have found that there are only so many quality dividend stocks I am willing to consider looking at. Finding the right company trading at the right price narrows the list down even further. Then there are things such as avoiding concentration to specific sectors as well as avoiding concentration in particular individual positions as well. As a result, I buy and hold on to stocks that fundamentally perform well. I could sell the stock and buy another one, but I might increase the risk that I am buying something that could be of lesser quality, despite the high price. For example, I could sell Johnson & Johnson (JNJ) today and purchase NuSkin enterprises (NUS), which have a much lower P/E. However as I mentioned in my analysis of NuSkin, I find it to be of lesser quality than a Johnson & Johnson. As a dividend investor, I do monitor the positions I have regularly. However, from a psychological perspective I have found that a daily monitoring of my portfolio for major events might increase my chances of doing something stupid such as trading too often. In reality, as a part-owner of a business, there are not many events that would happen every day, which would materially affect the business. Again, this is more of a nuanced approach as opposed to a black and white strategy. I do want to see improving fundamentals over time, as well as catalysts that would bring more income. For example, Coca-Cola (KO) is a brand whose products would likely continue to quench the thirst of consumers, who would only drink the specific products sold by the company. I would never for example drink Pepsi, although I know some individuals who would always drink Pepsi and hate Coke. There are hundreds of millions of consumers who will be entering the middle class in developing markets in Asia, Latin America or Eastern Europe. If people in India and China eventually consume as many servings of Coke per year as Americans do, Coca-Cola will have a bright future ahead. Back 1988, Warren Buffett began accumulating shares in Coca-Cola (KO) for his holding company Berkshire Hathaway (BRK.B). Currently, Berkshire owns 400 million shares at a cost of $3.2475/share. Berkshire’s stake has increased its value over 11 times over the past 25 years. At the same time, the company has been more valuable, as it has managed to increase profits and dividends. The stock price was overvalued in 1998, seeling as high as $45/share, and having a P/E of 48 by year end and an yield of 0.80%. EPS for 1998 were 71 cents/share. Buffett did not sell his stake, and earnings per share rose to $1.97/share by 2012. 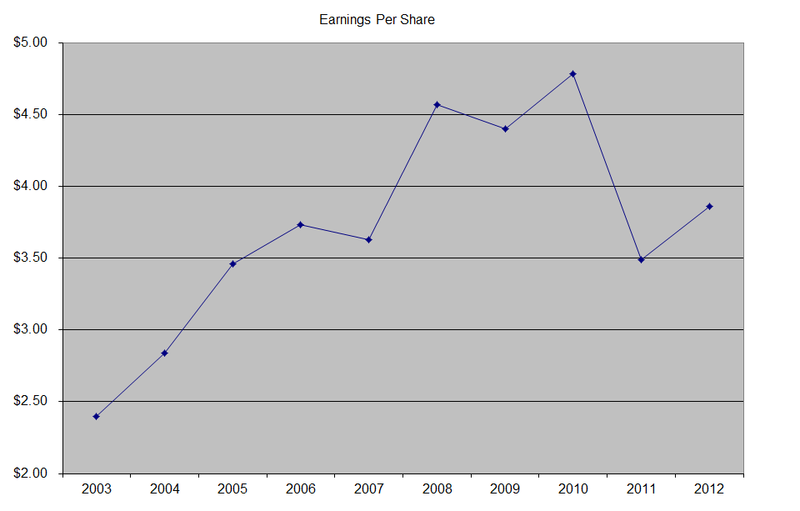 The issue was that Coca-Cola was consistently trading above 20 times earnings between 1992 -1998. Since 1995, Coca-Cola traded at a P/E of over 30 times earnings. The stock didn't become attractively valued until 2006. In hindsight, it’s easy to tell when to buy and sell. In reality, it ain’t so. Berkshire Hathaway currently is sitting on more than a 1000% gain in Coca-Cola. Chances are that it would keep on holding the stock, and since Coca-Cola regularly repurchases shares, Berkshire's stake in the company will keep increasing over time. Buffett did sell another one of his holdings, McDonald’s (MCD) in 1999, when the stock traded around $35 - $40/share. The stock fell as low as $12/share in 2003, before reaching $100 by 2011. 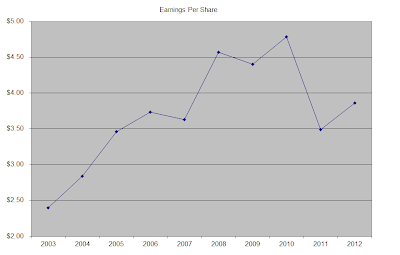 The dividend increased each year during the period, although McDonald’s did have some operational issues in 2002 – 2003. In effect, Buffett missed out on this great investment idea. With the stock market hitting all-time highs pretty much every day, there are not that many stocks that have low valuations today. Some of my favorite companies such as Coca-Cola (KO) are trading at over 22 times earnings, which is above what I am willing to pay for this otherwise excellent business. 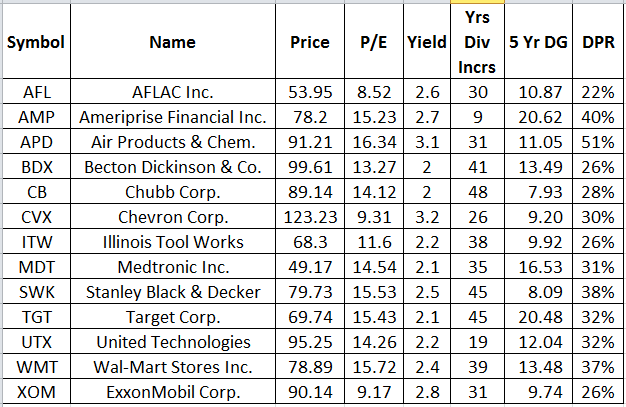 As a result I focused on the list of dividend champions, and uncovered the following attractively valued companies with low p/e ratios. 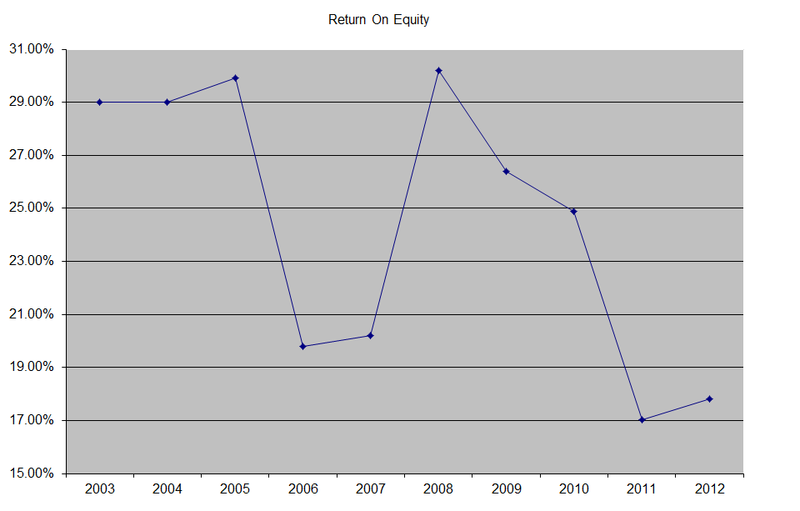 I tried to look for dividend champions with yields above 2%, payout ratios below 60% and P/E ratios around 16 or lower. Despite the fact that current yields on this list are low, these companies offer good values in today’s overheated market. With low dividend payout ratios and attractive dividend growth, these low valuations offer a great entry point for investors who have at least ten or twenty years to let the investment compound. I also added Ameriprise Financial (AMP) to this list, because I was researching it for inclusion to my portfolio, despite the fact that the company has raised distributions for less than 25 years. As most of these companies yield less than 2.50%, I would monitor them and try to add on dips. For example, back in April, I initiated a position in IBM (IBM) when the stock market punished the stock below $200/share, thus locking a 2% yield for a low valuation business with excellent EPS growth potential. Early in 2013 I was able to add to positions in Yum! Brands (YUM) and Family Dollar (FDO) after investors punished the stocks as well. That is why any type of irrational weakness must be explored by the enterprising dividend investor. Despite the high P/E on Johnson & Johnson (JNJ) today, it looks like the company trades at a P/E of around 15 based on forward 2013 estimates, so it could be one company to check out. The ability to look beyond the numbers could uncover attractively valued stocks in todays market. While I would not be adding to my positions in Coca-Cola (KO) or Colgate-Palmolive (CL) at current valuations, the 13 companies listed above will be the types of stocks to consider when adding new money to my portfolio on dips. This should be done of course only after thoroughly researching the business, and then paying an attractive entry price. The traditional blue chip companies I have held on for so many years, such as Coca-Cola, Colgate-Palmolive and many others which have attracted my new capital contributions for the past five years are no longer making sense to buy. As a result, the overvalued markets have caused me to be more creative in uncovering successful businesses, that can deliver better performance in the future. I am willing to purchase a stock yielding 2% today, if the valuation is low at say 15 times earnings and if there are catalysts for future growth. At the end of the day, a company yielding 2%-2.50% that trades at a P/E of less 15 that grows dividends above 7%/year will be more valuable than a company yielding 3.00%, trading at a P/E of over 22 and growing at 7%. I would much rather avoid losing money, than miss out on the next hot stock. The importance is to focus on quality, which unfortunately usually lies in the eyes of the beholder. A small leak can sink a big ship. Companies which are losing customers, companies that have advantages which are not durable (such as tech companies), or companies which are cyclical are to be avoided. I am not interested in companies which look undervalued today, but whose profitability might suffer, thus making them overvalued in hindsight.